Plug in your 3G card. Go to the Network Config screen by pressing the top button, going to Settings, then tapping on Network. Select "create a new connection", press OK, and wait for the scan to time out. Enter 3G as the name of the access point. It must have a capital G for it to work. Wait for the subsequent scan to time out. Tap "OK" to select None as the encryption type. Tap "OK" to select Automatic IP allocation. To activate local wifi sharing, ssh into the device (or plug in a USB keyboard to activate the drop-down console) and use the command "touch /psp/start_ap" to flag the network setup scripts to configure your chumby One as an access point. Note that AP mode also works with other network sources, such as Ethernet-over-USB. 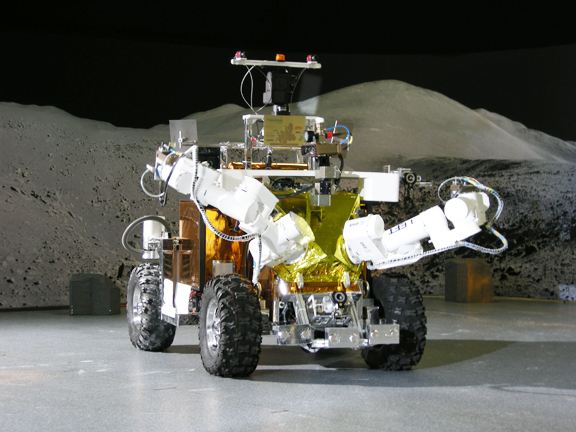 Thales Alenia Space delivers man-like robot on mobile platform to European Space Agency following successful testing and qualification. Russia launches Soyuz-U space rocket carrying Progress M-05M space freighter on supply mission to International Space Station. Tauri Group study finds commercial launch prices have dropped 34% since 1999. XTAR’s Vice President of Government Services Bill Schmidt passes away April 28 following heart attack. Hall-Of-Fame astronaut Story Musgrave says U.S. Space Program is now hampered by Administration’s fear to act; opposite attitude of 60’s when space program drove most technologically innovative decade in history. RADARSAT images spread of oil spill in Gulf of Mexico cause by oil rig explosion. Socialist Republic of Viet Nam hosts joint XXXVIII session of Board and meeting of Operations Committee of Intersputnik; host H.E. Mr. Le Nam Thang is elected Chairman of Board and of the joint session. Integral Systems announces seven year extended interference detection and geolocation maintenance contract with Sky Perfect JSAT. 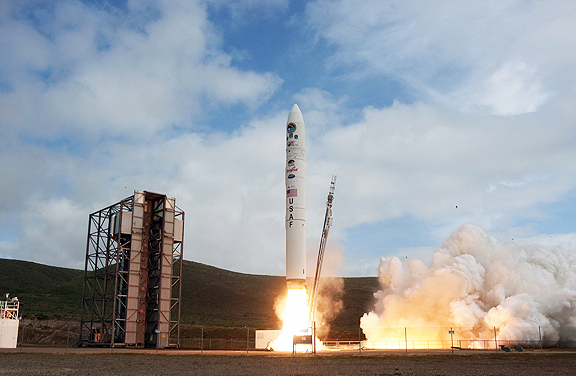 Orbital Sciences gets contract from U.S. Naval Research Laboratory for spacecraft and airborne system support services worth around $95m over 5 years. Iridium establishes a Government Advisory Board comprised of former senior U.S. government officials and business leaders to provide counsel to the company as it continues to enhance suite of products and services for government agencies. Lockheed Martin delivers cutting-edge communications system module for second satellite in U.S. Navy’s Mobile user Objective System (MUOS) program. International Space University and American Institute of Aeronautics and Astronautics join in strategic partnership to further educational opportunities internationally and enhance health of future aerospace workforce. Norwegian satellite AIS Sat-1 to be launched from India on May 9 will be used by maritime authorities as additional means of ensuring safety at sea in the High North. Global Gateway Media & Communications broadcasts Ex-Mayor of NY Ed Koch’s speech in Los Angeles through Speedia Media’s satellite broadcast network in the U.S., Canada, Mexico, and Central America. NASA delays launch of one of its three remaining space shuttle launches until November to allow upgrade of magnet in Alpha Magnetic Spectrometer program. Vizada Networks introduces redeveloped Global Field Support Program, created in close co-operation with Global VSAT Forum to improve quality of customer support through training. Air Force X-37 Falcon Hypersonic Technology Vehicle-2, launched from Vandenberg April 22, achieves controlled flight at more than Mach 20 at assumed elevation of 36,000 feet, but disappears 9 minutes after launch. Newtec’s FlexACM® DVB-S2 Elevation IP modems will support the National Polar-orbiting Operational Environmental Satellite System (NPOESS) in climate research, as well as increase bandwidth for communication. Integral Systems acquires Sophia Wireless, getting industry-leading technology in high-power, high-frequency Solid State Power Amplifiers (SSPAs) and Block Upconverters (BUCs) for satellite and radar communications. Swedish Microwave debuts new X-Band products, including professional PLL LNB’s. Australia’s hosted payload on Intelsat IS-22 satellite is a full UHV payload that will also benefit the USA. SES ASTRA and Samsung join forces to promote 3DTV. Gilat will Provide SkyEdge II broadband satellite communications network to Kazakhstan based telecommunication operator. Thrane & Thrane rebrands AeroSB products as AVIATOR, intending new brand to become synonymous with power of Inmarsat SwiftBroadband and at leading edge of that terminal technology. DirecTV is first provider to offer national distribution in High Definition (HD) of Spanish-language channels Univision and TeleFutura. Hughes and Avanti expand partnership in Europe as Hughes maneuvers to better compete with ViaSat, planning 48 gateway Earth stations for Hylas 1 satellite. 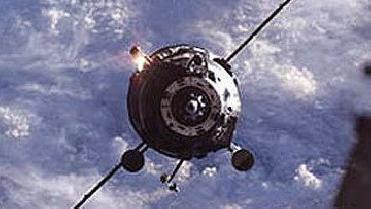 Russia Space Forces launches military communications satellite from Plesetsk Cosmodrome aboard Kosmos 2463 light booster. Sky Vision Global Networks launches new local hub in Nairobi, Kenya, to support company’s satellite based virtual private network solution. Ericsson equips Indian DTH operator Tata Sky with head-end upgrade enabling it to launch HD channels and increase SD offerings. Brightpoint announces global supply chain solutions agreement with Inmarsat; will provide fully integrated solution for fulfillment and distribution of IsatPhone Pro. A third launch contract has been awarded to United Launch Alliance to loft an advanced military targeting and communications satellite for the U.S. Air Force Space and Missile Systems Center. Orbital Sciences successfully launches first Minotaur IV rocket in support of Defense Advanced Research Projects Agency’s Hypersonic Technology Vehicle-2 program. Global Gateway expands into radio with its agreement with All Patriots Media Network, broadcasting Los Angeles programs from four stations around U.S.
Caprock Government Solutions announces expansion of satellite and terrestrial infrastructure to include bandwidth-on-demand to more than 35 major Department of Defense locations, and direct connections at 24 critical Defense Information Systems Network access points. GE Satellite is selected by NASA to provide Ku-band satellite connectivity for its ground breaking science mission to study atmospheric and environmental conditions across the Pacific via Unmanned Aerial Vehicle. World Teleport Association announces results of elections for Board of Directors for fiscal year beginning April 1 2010. In-flight acceptance of Helios IIB satellite is completed by Astrium on behalf of the French Defence Procurement Agency under delegation from French space agency. Thuraya further develops growth in key vertical markets across Saudi Arabia with Al Farhan partnership. Blue Sky Network’s GPS-base aviation tracking devices to be used by Peruvian Air Force for search and rescue operations. Images from European Space Agency’s Planck space observatory give astronomers way to understand complex physics shaping dust and gas in our Galaxy. 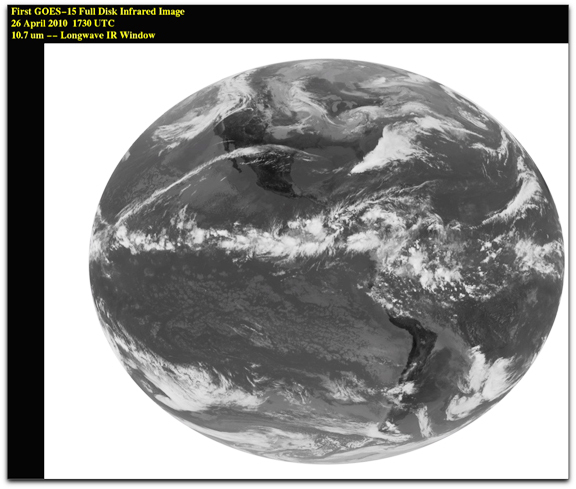 GOES-15, final spacecraft in latest series of NOAA geostationary satellites, takes its first infrared photo of Earth. Japan to launch "space yacht" Ikaros, to be propelled by solar particles. International Launch Services places SES-1 satellite into orbit aboard Proton-M rocket deployed from Baikonur Spaceport in Kazakhstan. Gilat to provide SkyEdge communications network to Kazakhstan customer ASTEL. Comtech Telecommunications receives $1.2m order for AN/TRC-170 modem upgrade kits and extended warranty coverage from major contractor under U.S. Army Commoon Hardware Software-3 contract. World Communications Center signs blanket P.O. agreement with NASA for satellite communications equipment and services that connect via the Inmarsat and Iridium networks. United Launch Alliance gets contract modification to perform launch services for the Advance Extremely High Frequency-3 satellite aboard expendable Atlas 5. ProTECTS Alliance gains momentum in efforts to drive two-way satellite tracking and messaging technologies. Intellian Technologies completes characterization of Eutelsat on its 60cm maritime satellite VSAT system. European Union Satellite Centre signs multiyear enterprise license agreement with ESRI Espana, giving agency greater access to latest geographic information system technology, training, and consulting services. European Spacer Agency gets funding for Alphasat from EU’s Risk-sharing Finance Facility. SES experiences first quarter revenue drop due to ASTRA 3B delays and AMC-16 anomaly. Satellite radio provide Sirius XM to release free application for Motorola Android, and Google Nexus One smartphones. Monopoly is not a bad word for digital Signage in Central and Eastern Europe. Galaxy 15 failure casts doubt on hosted payload model; recent and impending satellite failures signal need to provide creative mechanism for managing risks. MODIS, MERIS, ASAR, GOES: these orbiting spacecraft and instruments are focused on helping the NOAA figure this mess out. 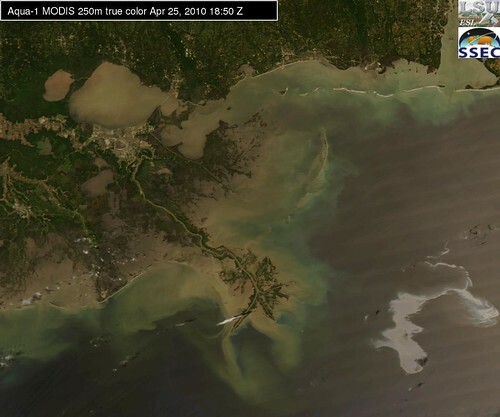 The mess is an oil spill in the Gulf of Mexico, approximately 50 miles offshore, estimated to be spitting out crude oil at a rate of 5,000 barrels per day. A BP PLC executive told NBC’s "Today" show on Apr. 29 that the oil leak in the Gulf of Mexico could be five times larger than earlier believed. His comment came the day after a controlled burn on part of the oil spill and a third leak was found. Doug Suttles, chief operating officer of BP Exploration & Production Inc., confirmed what US Coast Guard Rear Adm. Mary Landry first said at a hastily called news conference in a Louisiana command center late Apr. 28 in which she announced a third leak. Landry estimated 5,000 b/d rather than the 1,000 b/d could be spilling into the gulf. For days, officials have estimated 1,000 b/d was leaking from the Macondo well Transocean Ltd.’s Deepwater Horizon semisubmersible drilled on Mississippi Canyon Block 252 in 4,992 ft of water near Rigel gas field. Deepwater Horizon was working for BP. An Apr. 20 explosion and fire rocked the semi, leaving 11 crew members missing and presumed dead and injuring 17. A total of 115 people evacuated the rig. On Apr. 22, the semi sank. Cause of the accident remains under investigation. On Apr. 29, Suttles said the leak could be as high as the USCG’s latest estimate. Previously, he had told reporters that it’s difficult and imprecise to measure spilled oil. Call in the robots! But it won’t be quick. 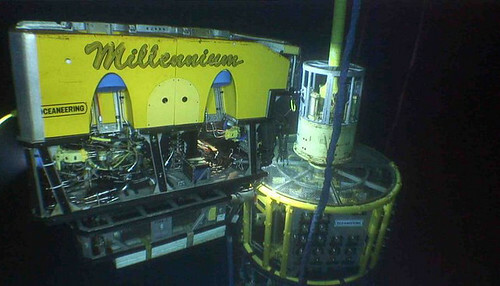 Responders are still figuring out new ways to use Remotely Operated Vehicles (ROVs) to try to trigger the blowout preventer (BOP), a series of valves that sits at the well head. Current NOAA efforts are focused on: gathering more information about the spill, planning for open water and shoreline remediation, and readying for environmental assessment and response. Natural resource damage assessment (NRDA) activities are now underway. NOAA oil-spill trajectory analyses indicate that oil continues to move towards shore. 100,000’ of oil-containment booms (or floating barriers) have been deployed as a precaution to protect sensitive areas in the Louisiana area. Yes, Philadelphia. The hometown of W.C. Fields, who was alleged to have said "Philadelphia, wonderful town, spent a week there one night," is one of four cities to have the FAA’s NextGen system installed. The others are Houston, Louisville and Juneau. 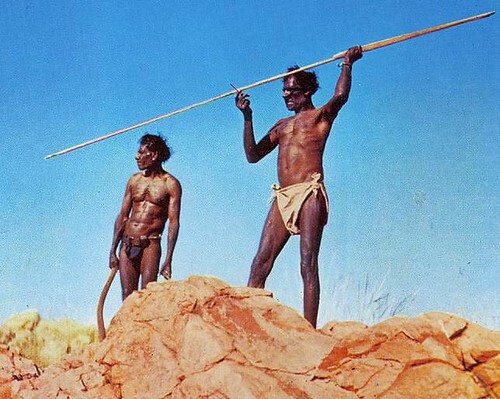 The system does it all: navigation, surveillance, and communication. "Philadelphia is a pioneer site," said Federal Aviation Administration vice president Victoria Cox, announcing that Philadelphia controllers now have the capability to track planes equipped with the technology, known as Automatic Dependent Surveillance Broadcast, or ADS-B. It’s part of a nationwide aviation overhaul – called Next Generation, or NextGen – that the FAA hopes will be largely operational by 2018. By 2020, all aircraft flying in U.S. airspace must have the ADS-B devices in their cockpits. Philadelphia is a demonstration site because United Parcel Service is here and has equipped 100 aircraft with satellite-technology. US Airways Group Inc. is in the process of equipping some of its planes, the FAA said. Philadelphia controllers also use a computer system, called STARS, that takes information, including the ADS-B signals, and translates it to the screens controllers look at. In addition, Philadelphia was selected to get some of the first satellite-surveillance radios because of its location in congested East Coast air space. The other test sites are Louisville, Ky., where UPS is based; Houston; and Juneau, Alaska. Seven ground radios – each about the size of two refrigerators – have been installed around Philadelphia, including two on airport property. They will be part of a network of 813 radios by 2013, the FAA said. Once airplanes get specialized GPS devices in cockpits, pilots will transmit via satellite to ground radios, which will bounce information to control towers. Controllers, in turn, will transmit to the radios, which will broadcast up to the cockpit. The new technology will allow pilots, for the first time, to see what controllers see: other aircraft in the sky around them, bad weather and terrain, and information such as temporary flight restrictions. Automatic dependent surveillance-broadcast (ADS-B). ADS-B will use the Global Positioning System (GPS) satellite signals to provide air traffic controllers and pilots with much more accurate information that will help to keep aircraft safely separated in the sky and on runways. Aircraft transponders receive GPS signals and use them to determine the aircraft’s precise position in the sky. This and other data is then broadcast to other aircraft and air traffic control. Once fully established, both pilots and air traffic controllers will, for the first time, see the same real-time display of air traffic, substantially improving safety. The FAA will mandate the avionics necessary for implementing ADS-B. System Wide Information Management (SWIM). SWIM will provide a single infrastructure and information management system to deliver high quality, timely data to many users and applications. By reducing the number and types of interfaces and systems, SWIM will reduce data redundancy and better facilitate multi-user information sharing. SWIM will also enable new modes of decision making as information is more easily accessed. Next Generation Data Communications. Current communications between aircrew and air traffic control, and between air traffic controllers, are largely realised through voice communications. Initially, the introduction of data communications will provide an additional means of two-way communication for air traffic control clearances, instructions, advisories, flight crew requests and reports. With the majority of aircraft data link equipped, the exchange of routine controller-pilot messages and clearances via data link will enable controllers to handle more traffic. This will improve air traffic controller productivity, enhancing capacity and safety. Next Generation Network Enabled Weather (NNEW). Seventy percent of NAS delays are attributed to weather every year. The goal of NNEW is to cut weather-related delays at least in half. Tens of thousands of global weather observations and sensor reports from ground-, airborne- and space-based sources will fuse into a single national weather information system, updated in real time. NNEW will provide a common weather picture across the national airspace system, and enable better air transportation decision making. NAS Voice Switch (NVS). There are currently seventeen different voice switching systems in the NAS, some in use for more than twenty years. NVS will replace these systems with a single air/ground and ground/ground voice communications system. 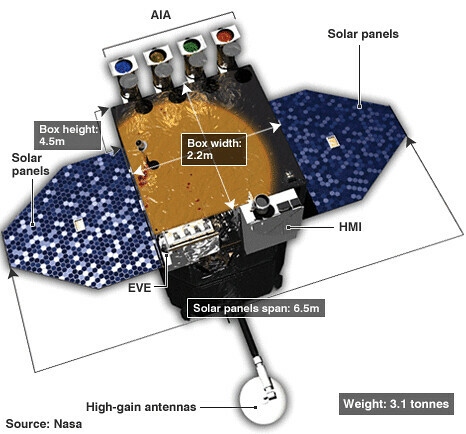 SES-1 is a hybrid C- and Ku-band spacecraft that will provide coverage of the 50 US states and is intended to replace SES’s existing AMC-2 and AMC-4 satellite at the orbital location of 101 degrees West. SES-1 is part of an SES contract with Orbital Sciences for the provision of up to five virtually identical satellites in order to replenish SES’ North American satellite fleet. The SES satellites are based on Orbital’s enhanced STAR 2.4 bus, the largest and most powerful communications satellite the company builds. The spacecraft will each carry 24 active C-band and 24 Ku-band transponders of 36 MHz capacity each. Six of the channels in each band can be cross-strapped to the opposite band, enabling new service capability. The spacecraft will generate approximately five kilowatts of payload power and have two 2.3 meter deployable reflectors. So this is a replacement for AMC-4 at 101° West. Good-bye extended Ku-band and steerable South American beam. Hello, cross-strapping. That should make for some interesting combinations for customers. 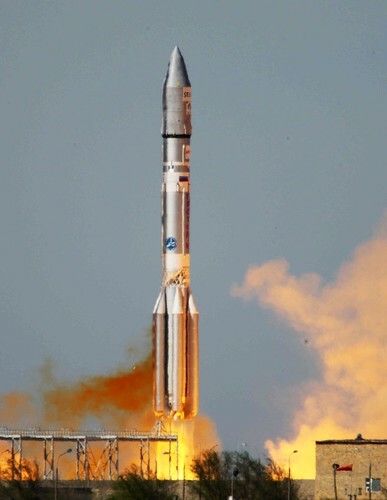 [T]he further reduction in power output aboard the AMC-16 satellite, which is fully leased by EchoStar Corp. of Englewood, Colo. AMC-16, launched in December 2004 and operated at 85 degrees west, is one of several older-model Lockheed Martin A2100 satellites that have suffered solar-power losses, especially during eclipse periods. EchoStar and SES had agreed to a specific payment profile based on the satellite’s on-board capacity. With the most recent power loss on AMC-16 following a March eclipse period, the reduced power will cost SES slightly less than $10 million in revenue in 2010, Bausch said. Other SES-owned A2100-model satellites have also suffered power losses, but not to the extent that commercial service was affected, Bausch said. Forecasts of how the problem might evolve are difficult because in the past, solar-array circuits that have failed have later returned to service, he said. Had the Galaxy-15 command failure occured in the 1st quarter, he’d probably nail them on that one, too. Enough bad news, on to the launch video! 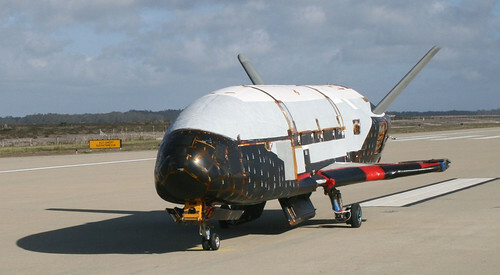 Boeing-built U.S. Air Force "miniature space shuttle" X-37B is succesfully launched amid a cloud of secrecy about its mission. CenturyTel (CenturyLink after merging with Embarq in 2009), the country’s fifth-largest local phone company, to buy Qwest, the third largest, in stock swap worth $10.6 billion. BT announces the completion of its first satellite terminal in Antarctica, at one of the world’s coldest, driest, and windiest locations. Iridium extends relationship with KDDI of Japan, making it an authorized service provider of Iridium’s OpenPort High-bandwidth maritime satellite communication service. MTN Satellite Communications, in partnership with ERZIA Technologies, opens new European satellite teleport in Santander, Spain. Stratos Global is providing world-renowned adventurer Ray Zhab’s "Running Tunisia" expedition with Inmarsat BGANmobile broadband satellite service. Two Cobham businesses honored in 2010 Queen’s Awards for Enterprise in the categories of Internatikon Trade and Innovation. 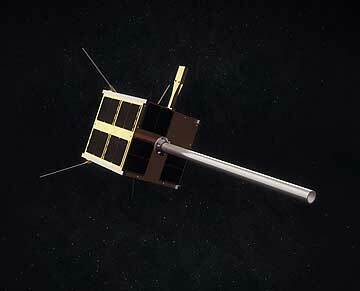 Satelllite Today to bring live webcast of the SES-1 launch Saturday, April 24. Harris Corporation is providing NEXIO AMP advance media platform to German national public television broadcaster Zweites Deutsches Fernsehen to support HD migration and centralization of ZDF’s playout center in Mainz. SES ASTRA will launch 3D demo channel on ASTRA May 4. European Commission announces financing of Alphasat telecommunications satellite to be launched in 2012, a joint effort of the European Space Agency and Inmarsat to extend high-speed voice and data to remote European areas, Africa, and the Middle East. U.S. Army modifications to VSAT terminals to increase security of battlefield communications will include a change from hardware key exchanges to software key exchanges. 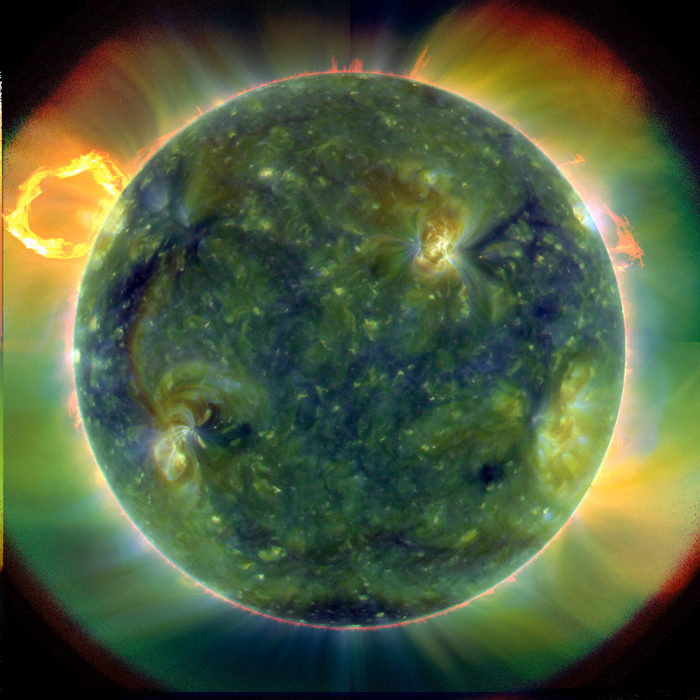 First images of the sun returned by NASA’s Solar Dynamics Observatory Satellite please research scientists. Schlumberger looks for buyer for its satellite unit GCS, provider of satellite antennas and specialised communications for oil rigs, tankers, and other hard-to-reach sites. Expand Networks’ advanced WAN optimization technology supports satellite communications services for Scripps Institution of Oceanography at University of California. Gateway Communications increases presence in West Africa with signature of two deals in Guinea. Global Satellite Engineering has partnership with Ocens data services, with Ocens using GSE’s SatCollect software to reduce in-bound call expenditures. Flexible commercial satellite services acquisition joint effort of GSA and DISA holds great promise, according to director of satellite communications, teleport, and services at DISA. Caprock launches latest value-added service offering, Crew Infotainment, reaching remote employhees across energy, maritime, and government services industries. KVH doubles their mini-VSAT Broadband network’s bandwidth in the North Pacific Ocean Region. ARINC Incorporated announces that three major Asia Pacific carriers have selected the company’s GLOBALinkSM data link services for airline communications and flight operations. Barcelona Moon Team, a multidisciplinary joint venture in Spain, announces entry into Google Lunar X Prize competition challenging engineers across the globe to build and launch to the moon a privately funded spacecraft capable of exploration. Lockheed Martin gets $10 million task award to provide satellite and tactical communications for U.S. Marine Corps. Chinese villages in the Tibetan Autonomous Prefecture of Yushu stricken by the 7.1 magnitude quake all have contact to the outside world restored, with fixed-line and mobile service being restored, and some 234 satellite phones serving the regioin. Iridium and Quake Global partner to enhance new generation of intelligent industrial satellite transceivers. SES ASTRA signs capacity agreement with South African pay-TV operator On Digital Media for three transponders on ASTRA-4A. ViaSat wins $6.6 million MIDS-LVT add-on order to its $21.5 million Multifunctional Information Distribution System – Low Volume Terminals. U.S. Navy’s Space and Naval Warfare Systems Command selects Ball Aerospace & Technologies Corp for next generation ocean altimetry satellite GFO-2. Vizada unveils its mobile satellite communications offering for Asia-Pacific military customers at the Defense Services Asia trade show. Satellite operators Artel, Caprock, and Globecomm file complaints with the U.S. Federal Communications Commission and called for a congressional and regulatory inquiry over alleged unfair business practices. Raytheon wins DigitalGlobe contract to provide enhance constellation-collection management system. Heard On The Grapevine – Galaxy 15 update – Last week it was reported that Galaxy 15 was drifting with the payload on with no control over the satellite because of failed command receivers. Information obtained this week reveals that it was the Upllink/Downlink Unit that failed June 9 due to Solar flare activity, causing an inability to process uplinked commands. Different failure mode, same result, with adjacent satellites at risk of massive interference if approached by Galaxy 15. Samsung puts 3D TV health warning on its Australian web site, Worries include epileptic seizure or stroke, convulsions, involuntary movement, motion sickness, nausea, lightheadedness, dizziness, disorientation, and altered vision. NSR to host free webinar "SATELlite-Based Earth Observation (EO): Ready for Phase 4 of Growth?" NSR Industry Briefing – Growing the Government and Military COTM Market – Easier Said Than Done. “On behalf of AIAA’s 35,000 members, I urge the passage of HR 5903, the ‘Space to Schools Act of 2010.’ This legislation addresses the critical teacher shortfalls in the ‘STEM’ subjects of Science, Technology, Engineering, and Math, by encouraging veteran scientists and engineers, and other experts, to enter the classroom and help educate the next generation of scientists, engineers, mathematicians, and technology workers. The bill will provide our nation’s schools with a direct infusion of qualified, motivated, and able talent. 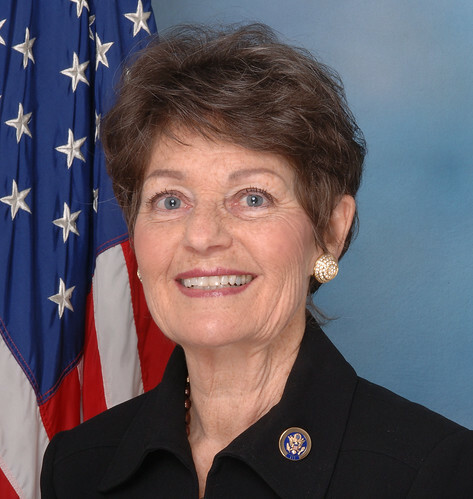 The Space to Schools Act of 2010, introduced in the U.S. House of Representatives yesterday by Rep. Suzanne Kosmas (Fla.-24), creates an opportunity for former NASA employees and aerospace engineers to teach STEM subjects in grades K–12. Participants in the Space to Schools program would be required to sign a three-year contract and to take necessary classes to obtain teacher licensure in their state. The Act would provide Space to Schools participants with a $5,000 stipend to defray the costs of classes needed to obtain teaching credentials. In addition, a $5,000 bonus would be paid to participants who have earned their teaching credentials when they commit to teach in a STEM subject field for at least three years. The "This Too Shall Pass" music video by the band OK Go is impressive. It features a Rube Goldberg Machine produced with the help of MIT students and alumni, it was put up on YouTube in March and has since garnered more than 11 million views. Sure, that’s nowhere near the new record set by Lady Gaga’s "Bad Romance" video (187 million and counting). Posting music videos helps sell records. EMI had a problem with that, so OK Go is on its now. Good for them. OK Go’s Web site has a wonderful interactive floor map to keep you busy. Very cool. Watch this video of how to build one with kids. Check out Argonne National Laboratory’s contest for high schools, and, of course, Purdue’s Rube Goldberg Contest is one of the best for college students. Need ideas? 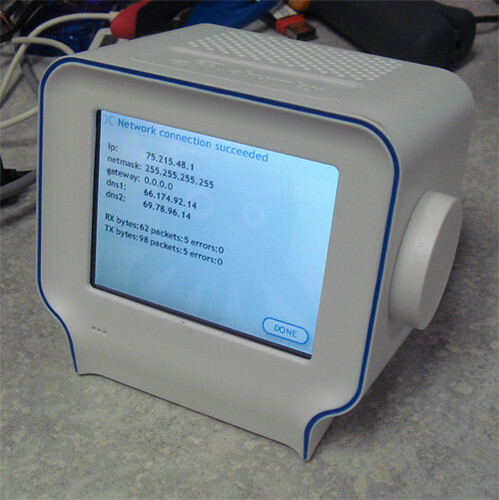 Poke around the Instructables site. Yes, it’s Earth Day. So we’ll follow the Sun instead. 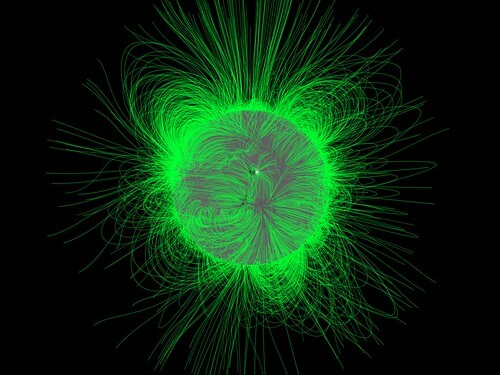 NASA’s Solar Dynamics Observatory released it’s first images and video. The spacecraft’s three instruments will likely revolutionize the study of heliophysics, much as Hubble did for astronomy. The Helioseismic and Magnetic Imager (HMI) will study the motions and magnetic fields at the Sun’s surface to figure out what’s happening inside. The Atmospheric Imaging Assembly (AIA) is a bunch of four telescopes will check out the corona, the outer layer of the Sun’s atmosphere. The AIA filters will observe across ten wavelength and provide 725 km resolution. And the Extreme Ultraviolet Variability Experiment (EVE) will gauge the Sun’s energy in extreme-ultraviolet wavelengths. 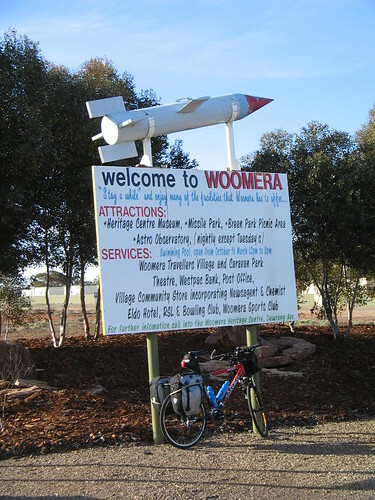 WTF, in this instance, stands for the Woomera Test Facility in Australia. Hayabusa, the unmanned JAXA spacecraft that’s been on a mission to return asteroid samples back to earth since launching in 2003, is set to land in Australia in June. 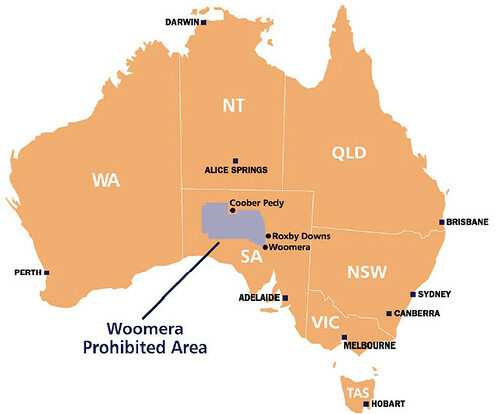 Australian authorities are working with the Japanese Aerospace Exploration Agency (JAXA) to land the Hayabusa in the Woomera Prohibited Area in June. Hayabusa met with the asteroid Itokawa in 2005. Since then, the Japanese Aerospace Exploration Agency has been guiding the craft home to Earth. Innovation Minister Senator Kim Carr said this was a great example of Australia’s ongoing contribution to international space programs. "Australia is proud to support Japan in this world-first expedition," Senator Carr said. "The Australian Government is investing $48.6 million in the Australian space sector through its new Space Policy Unit and Australian Space Research Program. "The Space Policy Unit is the central point of contact and coordination for all civil space activities, including fostering links with international space organisations. The return of the Hayabusa is one of the many activities the unit is supporting." Defence Minister Senator John Faulkner said Australian authorities would help ensure the recovery of the spacecraft on its return, working closely with their Japanese counterparts on the proposed path and landing of Hayabusa. Can’t understand what "nature boy" is saying in this Bugs Bunny episode either.